We’re getting closer and closer to Sasquatch, but there’s a show tonight that we’re really excited about. Koko & The Sweetmeats offer a charming brand of bluesy indie rock, full of fuzzy guitars and jangling tambourines. Their songs have a hint of loneliness amidst the boot stompin’ melodies, and their dual vocal work is a nice touch. 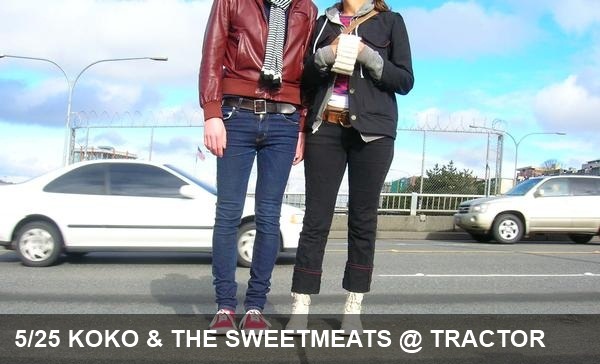 You can catch Koko & The Sweetmeats tonight at the Tractor Tavern with local alt-rocker, Solvents.